You’ll often hear me talking about ‘Scenario Planning’ and its many benefits for both individuals and businesses. As a futurist I believe Scenario Planning is one of our greatest visualisation tools for not only ensuring our business / career long-term survival, but also preparing ourselves for alternative future scenarios, while setting ourselves up to be able to tackle whatever the ‘near horizon’ throws at us - both probable and improbable. If you’re unfamiliar with the term, Scenario Planning is the process of identifying your business’ most disruptive Drivers of Change (sociocultural, technological, economic, environmental and political), and mapping them out to envisage and plan for alternative future worlds. Why alternative? Futurists are not in the prediction game. We are in the preparation game, which means you need to prepare for all eventualities, and this is actually easier than you might think. By engaging in this thought experiment that combines science fiction and fact, you will enable yourself to cope with the exponential changes happening now and in the foreseeable future. Complete a pre-mortem rather than a post-mortem: To Scenario Plan effectively, you need to be on the front foot, identifying the most disruptive sociocultural, technological, economic, environmental and political (STEEP factor) drivers of change that will affect you, your business or industry. Once you have determined those that are likely to affect you the most, you must then select and decode the top two which can be visualised on an x- and y- axis, to enable you to envisage four alternative future worlds. I have created this handy Scenario Planning sheet to help you do just this. Doing a pre-mortem is alway superior to a post-mortem - a point in the future when it it is too late to affect change. Prepare for Utopia and Dystopia: Preparing for the worst is all well and good, but the worse case scenario rarely happens. Instead, prepare yourself for a combination of various alternative scenarios. Take care to map out both good and challenging future scenarios to allow yourself to be prepared for what will actually eventuate. Frequently, this doesn’t mean your preferred scenario. Think of your preferred scenario as a bonus. We don’t want to be caught off guard by external scenarios which we have not made preparations for. Embrace change: We are living in a world where change has never been this fast and will never be this slow again! To really plan for the future, it’s crucial to think outside the box about exponential technologies, disrupters and changes that are hard to fathom right now. Only by doing so will you be able to really embrace change and become a futurephile to map out future scenarios. Stop thinking linearly, and start thinking exponentially. To help you Scenario Plan effectively, I’d like to welcome you to join my complimentary Webinar to learn how to immerse yourself in strategic thought experiments on your life’s most important projects - be it in your (or your children’s!) own education, business, life, or career. Through scenario planning, you’ll be able to decode Drivers of Change and embrace the emerging possibilities so that you can be prepared - no matter what the future holds. 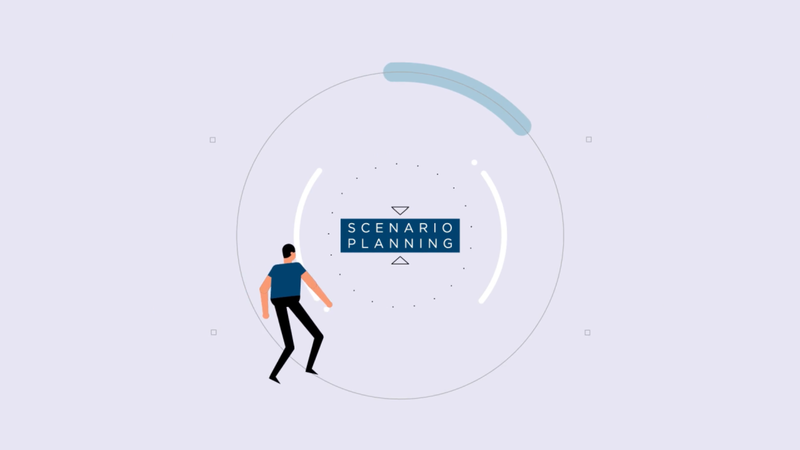 If you can’t make it to the Webinar, please sign up here to receive the link to watch in your own time and download my Scenario Planning Map while you are at it. The results from completing this thought experiment will allow you to make better and more informed decisions when it comes to the future and what it may hold for you. Good luck and if you would like help to delve further into your future, please get in touch today.